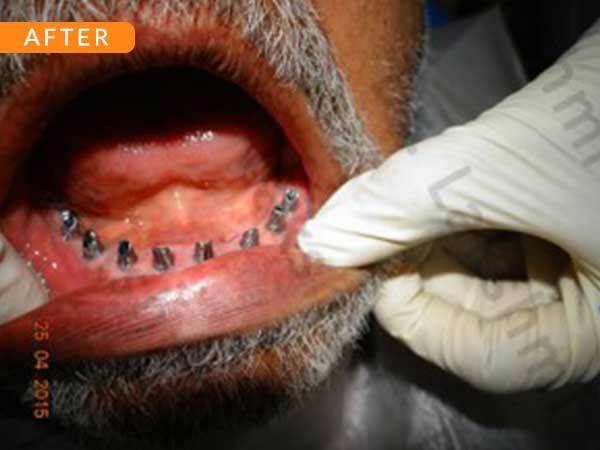 Dental implants have come to define modern dentistry in the last few decades. 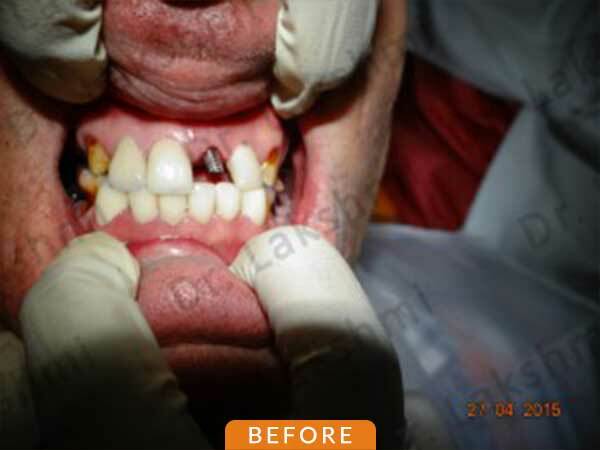 Dental implants are cemented to the jawbone and an abutment is used as a support for the dental crown that is placed over it. There are a single piece, two-piece and three-piece abutments available for implants. 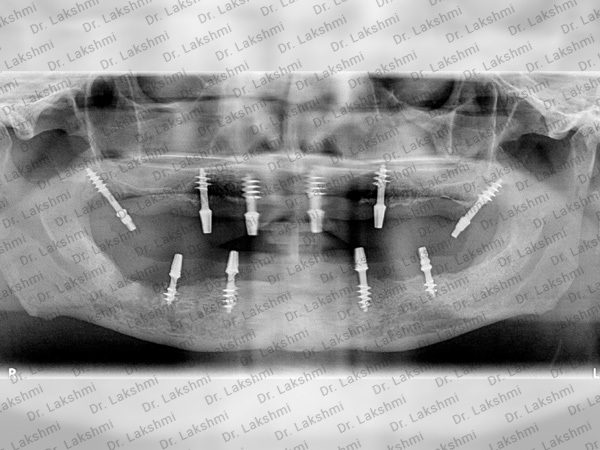 Titanium fuses naturally with the jawbone and that makes it a perfect fit as an implant. 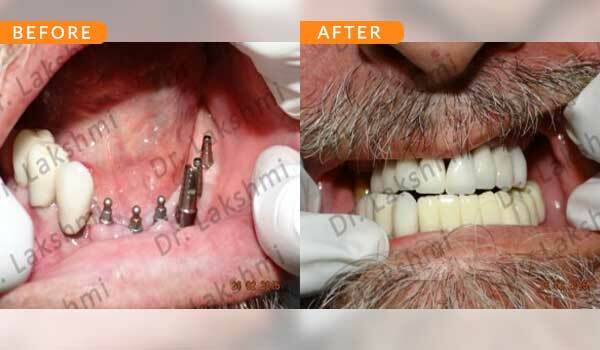 There are several dental implant techniques available to opt from, for a patient. 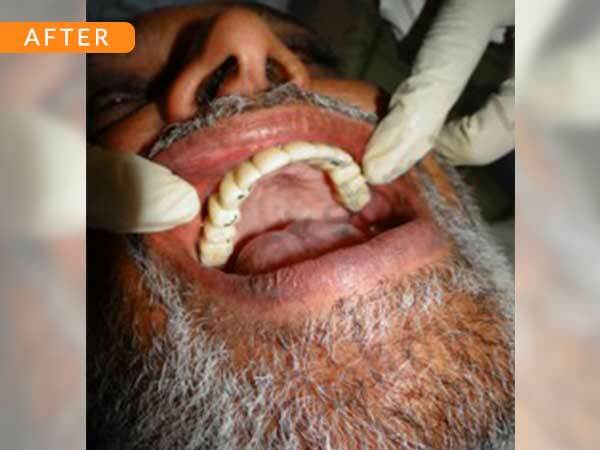 The freedom to opt also depends on the condition of the jawbone and the gum. 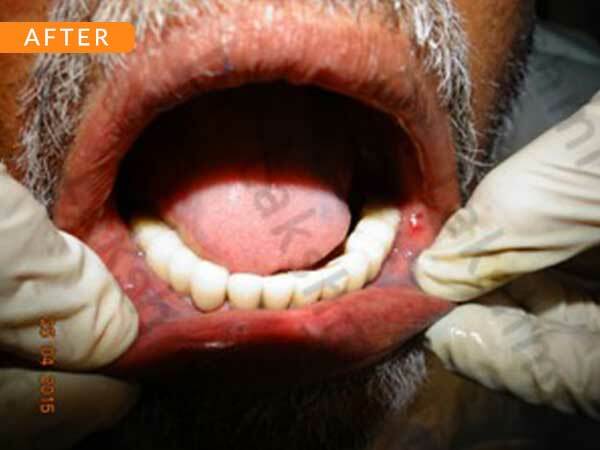 Immediate load basal implant is the most preferred for the patient who does not have enough gum to support the teeth. 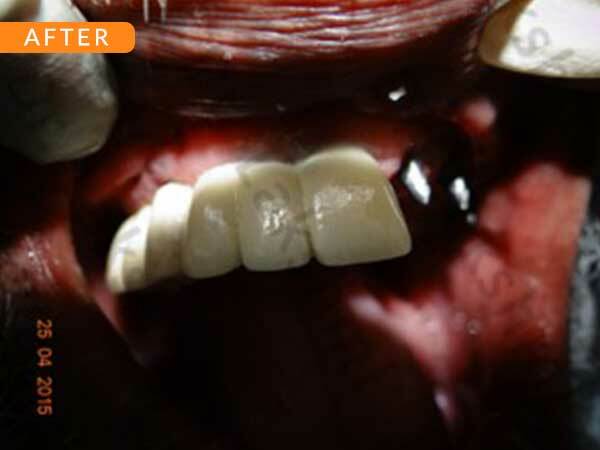 With minimally invasive surgery, the base of the jaw is drilled to fix the implant. 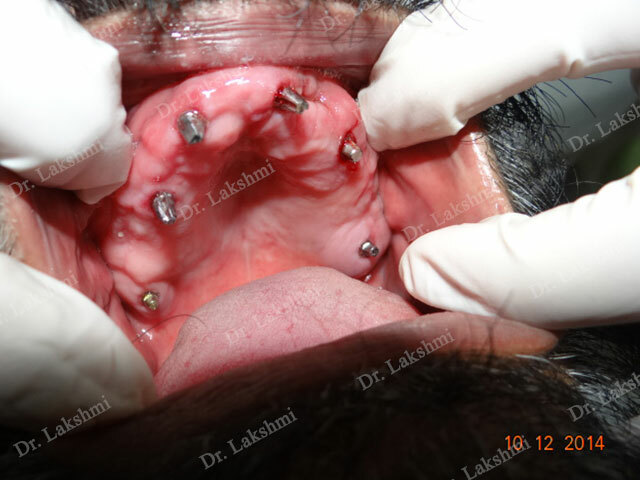 The implants are anchored into the basal cortical bone and an abutment is placed over it, thus providing a sturdy foundation for the dental crown. 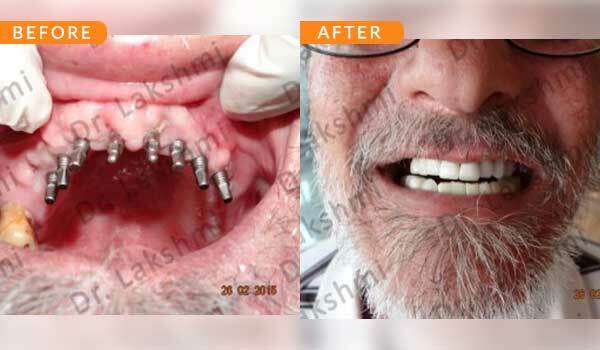 The advantage of immediate load basal implant is that the need for bone augmentation is completely eliminated and it could be done fairly easily in a span of 72 hours. 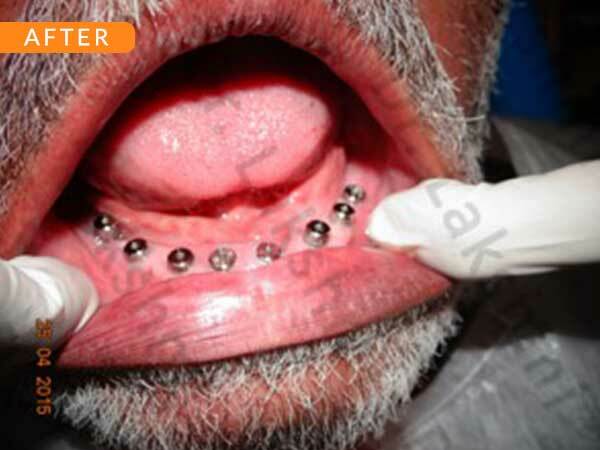 Immediate load basal implant procedure is less risky. 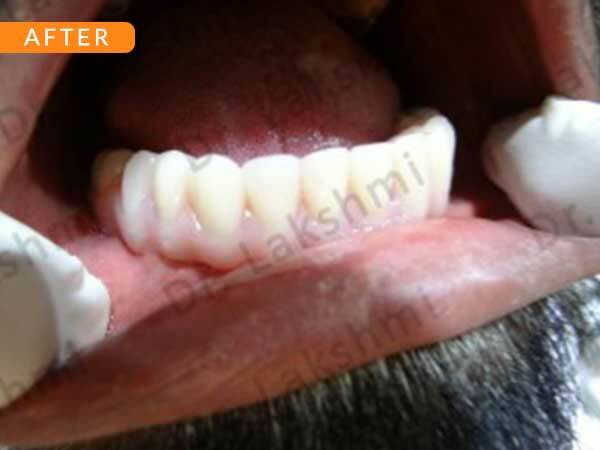 There is no risk of deterioration of jawbone; on the contrary, the dental implant of titanium is found to encourage the growth of bone tissues. In cases where full mouth dental implants are necessary; all-on-4, all-on-6 and all-on-8 are the types preferred where the numbers indicate the titanium abutments integrated with the jawbone tissues to support the dental crowns as a substitute to the natural teeth but equal in functionality eliminating any doubts of discomfort. 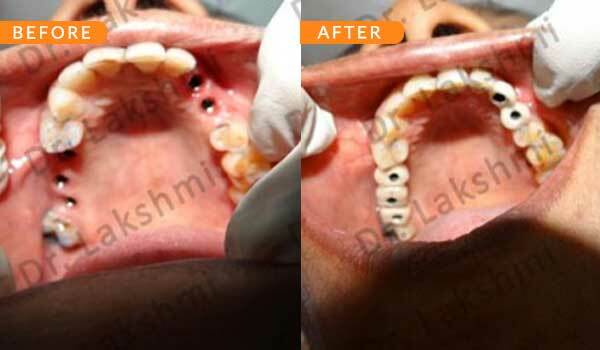 Perfect Smile: A dental clinic for all and One stop shop for all kind of Dental Implant Solutions. 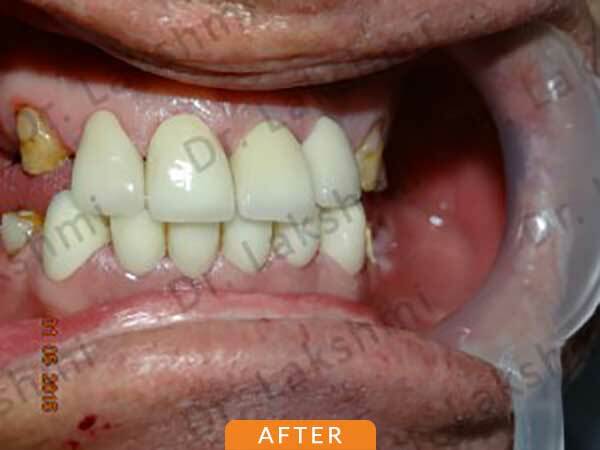 Perfect smile super speciality dental and implant centre is the brainchild of Dr.P.S.Lakshmi, conceived and established after her return from the U.S. in the year 2002. 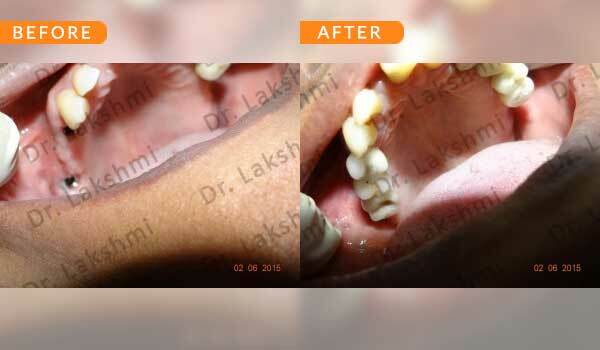 As the name suggests the team perfect smile under the tutelage of Dr.P.S.Lakshmi has imbibed the latest changes that have taken place in the treatment with dental prosthetics and dental implants. Perfect Smile has the state-of-the-art infrastructure with in-house latest X-ray diagnostic facilities and can carry out the most severely compromised and advanced bone loss cases with ease. With vast experience of over 2 decades, they can do any type of complex post-implant prosthetics. 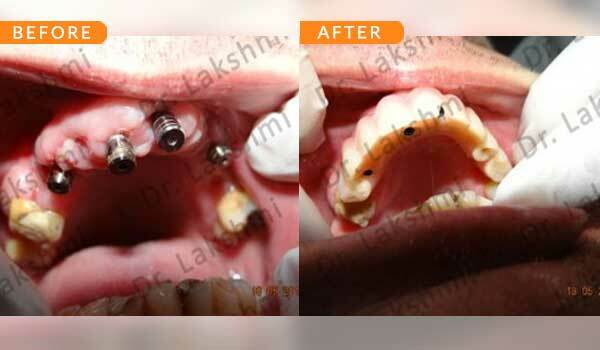 Perfect smile dental implant center has offices in Bangalore and Goa. 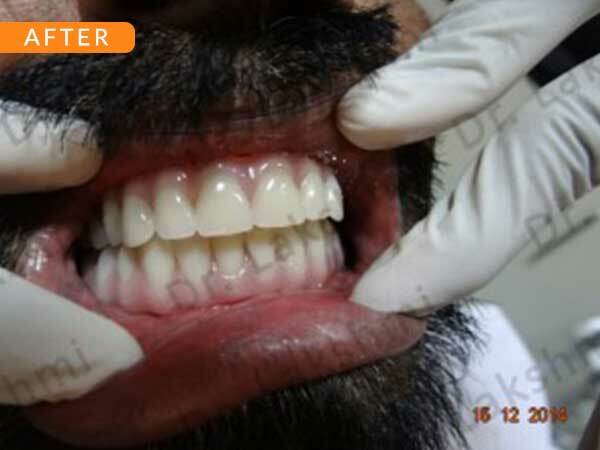 The aim of Perfect Smile is to provide quality service at an affordable cost. 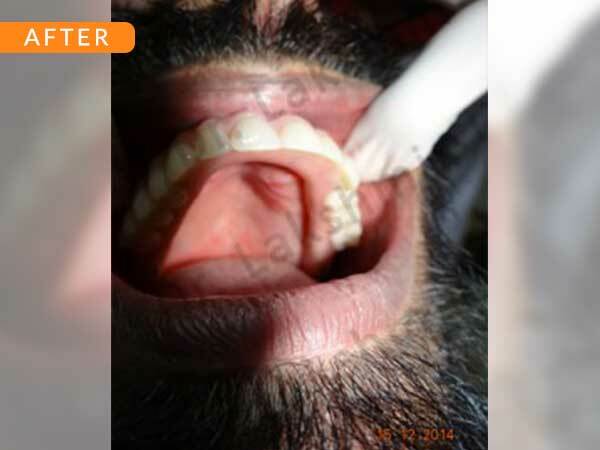 Case1: Replacement of Single tooth with a single stage Implant. 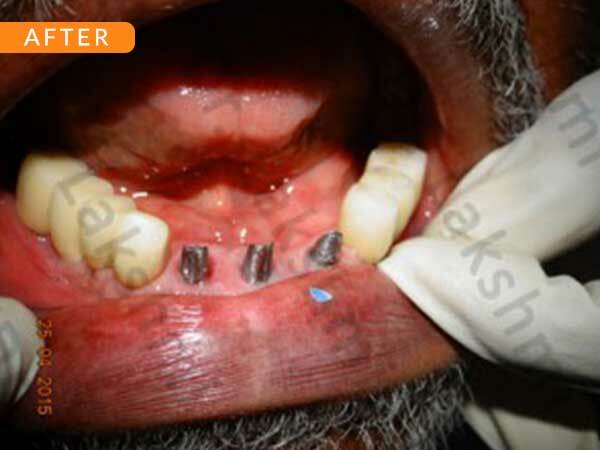 Case2: Replacement of Multiple teeth with Dental Implant. 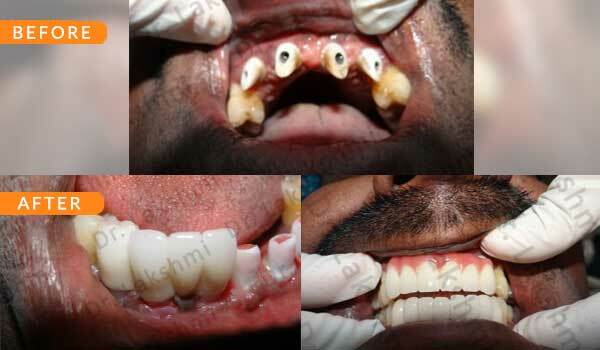 Case3: Implant Supported Complete Dentures. 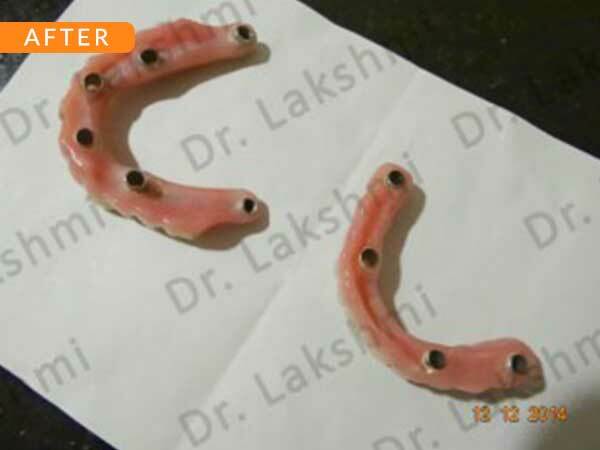 Multiple Tooth Replacement : Entirely depends on number of missing teeth.Either same number of Implants or fewer number of Implants than missing teeth can be placed. 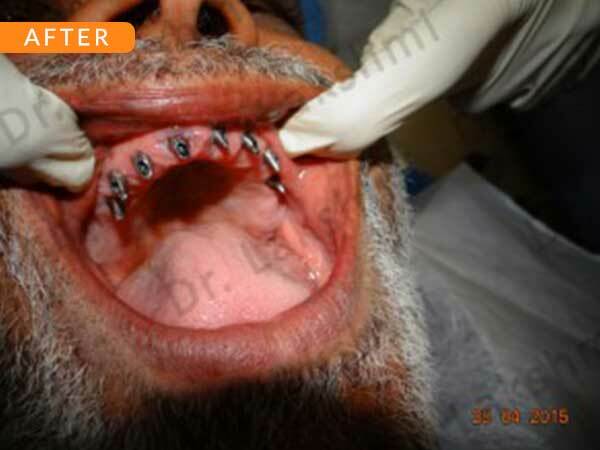 For example patient with 4 missing teeth ,we can place 2 Implants followed by a 4units bridge. 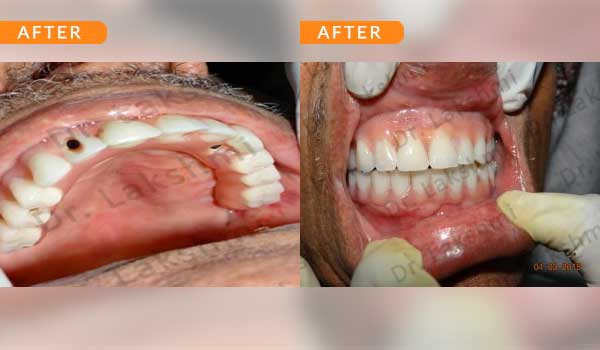 Replacement of All Teeth: Replacement of all teeth can be done either by the placement of implant supported dentures or by the placement of multiple unit bridges placed over implants. 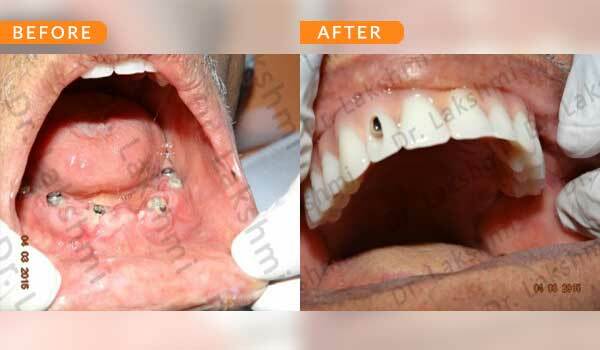 Treatment Duration: 2 stage dental implants: The replacement is completed in 2 stages which are spread over an interval of minimum 3 months. The first stage involves the placement of the implant and requires one to two sittings,Temporary Crowns will be given to the patient. 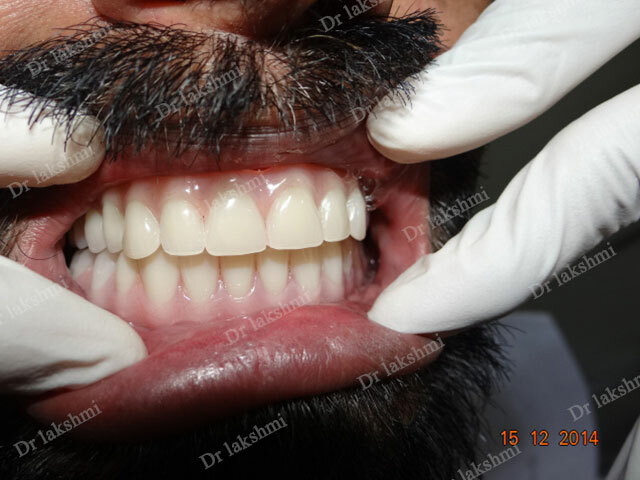 The second stage involves the placement of the artificial tooth (Permanent crown). 1 stage dental implant: Requires just one stage for the placement of the implant and crown(Permanent Crown).